For the 11th year Abu Dhabi will host Formula 1®’s only twilight race. 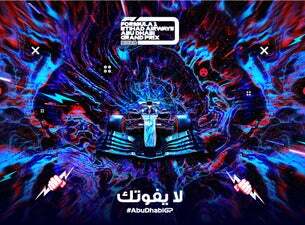 Taking place on the 29 November - 01 December 2019, the FORMULA 1 2019 ETIHAD AIRWAYS ABU DHABI GRAND PRIX is the Middle East’s biggest international sporting event. Yas Marina Circuit is an awe-inspiring experience for drivers and spectators alike, with a waterfront setting to rival the likes of Monaco and Singapore. The circuit is straddled by the Yas Viceroy Hotel and also features a 60-metre solar powered Shams Tower and a pit lane, which sees the cars exit via a tunnel passing under the track.